Chef Pongtawat “Ian Kittichai” Chalermkittichai is somewhat of a legend in Thailand and a regular on TV screens in many countries (including a spell on Iron Chef). 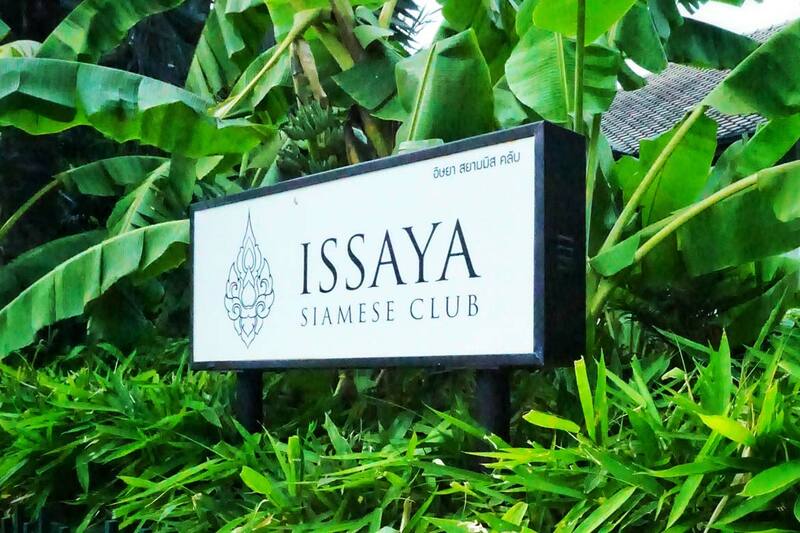 Issaya Siamese Club is just one of the many restaurants in his empire, but probably the most well known due to its regular inclusion on Asia’s 50 Best Restaurants list (coming in at no.21 in 2017). 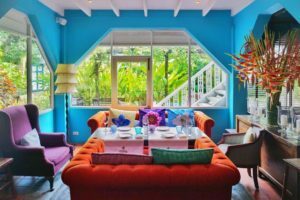 We couldn’t miss popping into the colorful culinary institution on our trip to Thailand’s capital, and nor should you – the calm atmosphere of the homely mansion is the perfect respite from the hustle and bustle of urban Bangkok. 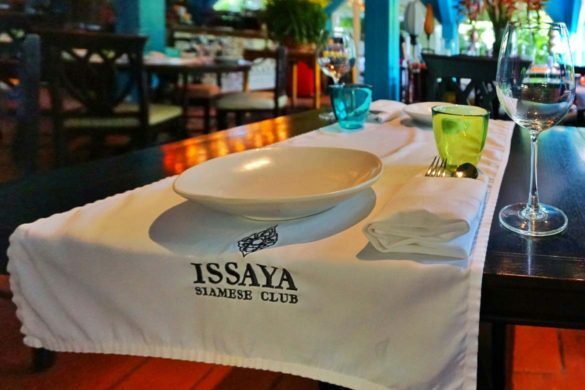 Issaya is the last stop on the culinary itinerary for fellow foodie Courtney of AtoZaatar and I, and we are lucky enough to have the cheerful dining room to ourselves (whether that’s due to the entire Asia’s 50 Best delegation being on their way out of town, or the preceding tropical deluge, we’re not sure). 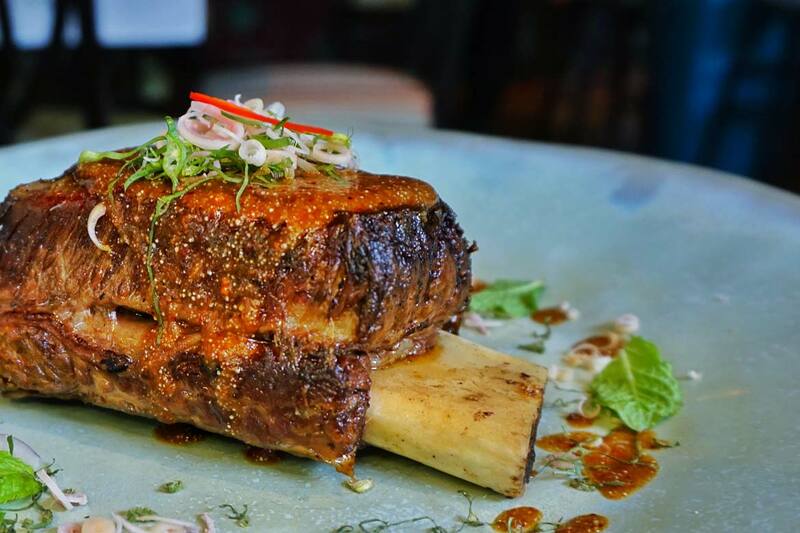 After a quick glance over the menu, we’re salivating – the pork ribs and beef short rib proving simply irresistible. But first, a trip to the raw side of the menu – tartare in both tuna and beef formats. The presentation is playful and the flavours decent – a trend that continues throughout the meal, even if our beef tartare is a tad on the, well, overly-mushy side. In all honesty, the pork ribs are far and away the star of the show. Arriving over a smoking grill, these Kradook Moo Aob Sauce (Spice Rub Pork Baby Back Ribs glazed with Issaya Chili Paste) are the stuff pork lovers’ dreams are made of. 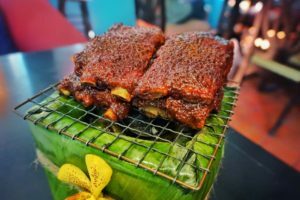 Juicy, tender and slathered with sweet and spicy sauce that’s been caramelized under the salamander, these ribs inspired us to buy the cookbook (they’re so good that we’ve even opened the cookbook and cooked them since). The Nua Sun Seaklong (THB1350, Beef short rib cooked twice with sweet chili lime dipping sauce) is also tender and pleasant, but in no way compares to its porcine stablemate. 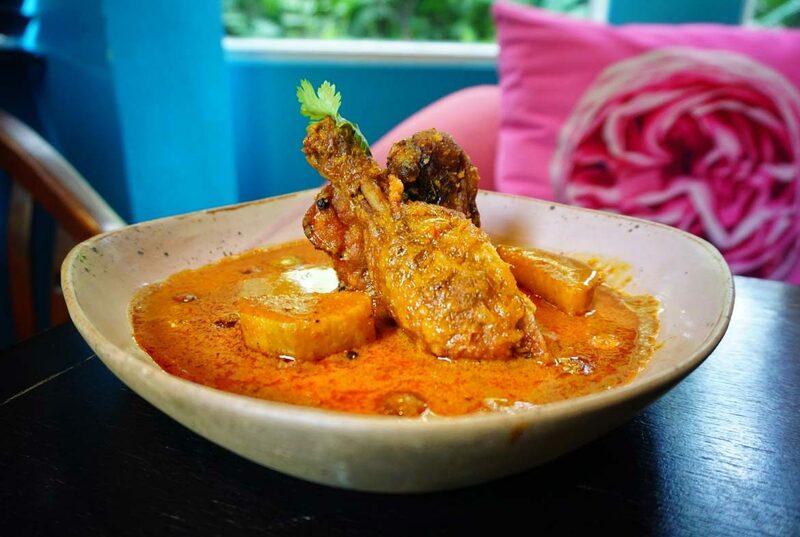 The Geang Kraree Gai Krob (THB580, Yellow curry, crispy chicken leg, and sweet potatoes) is served on the bone, flavors as advertised, with nothing too out of the ordinary (leave that to the outrageous decor). Perhaps the pork ribs simply ruined us for everything else on the Issaya menu? We opt for two of the more playful desserts – the Piggy Bank and the Broken Bucket. 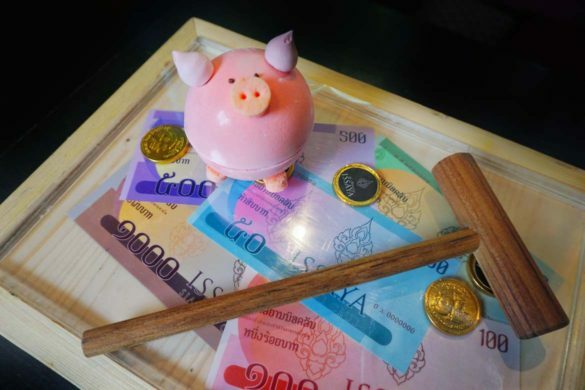 Both end up in pieces – the piggy bank by our hand (well, a cute hammer), and the bucket by way of being smashed on the table, amongst various sweet accompaniments plated on to banana leaves on the table. It’s Alinea meets Thailand. It’s by no means revolutionary, but it’s good, traditional Thai food done well in a cute setting – Issaya Siamese Club is a spot I’d happily while away hours sharing a Thai feast with friends and family.